The E21 3-Series BMW didn’t have an easy task. It had to replace the ageing but popular 02 models which had pretty much defined BMWs image as the maker of sporting sedans. At launch in 1975, all models used carburetted 4-cylinder engines, however fuel injected models were introduced in late 1975 and 6-cylinder engines were added in 1977. A cabriolet body style - manufactured by Baur - was available from 1978 to 1981. The wedge shape of the two-door model was distinctive, extending all the way to the unusually high rear end. In response to criticism of the tail design, a black plastic trim panel between the tail lights was added within a year. The cockpit design of the E21 marked the introduction of a new design concept, with the center console and central dashboard area angled towards the driver. This feature has become part of BMW’s interior design philosophy for many years. As a sign of passive safety, all edges and control elements within the interior were rounded off and padded. In 1980 the engine size increased to 1.8 litres, however the model remained badged as 316. Acceleration to 100 km/h was reduced to 12.5 seconds and top speed increased to 167 km/h (104 mph). Even back then, these figures weren’t all that impressive. The 316 (and later 315) models could be distinguished from their faster brethren by the single headlights - the 320 models and up featured quad lights. The E21 was sold in the United States from model years 1977 to 1983 as the 320i and 320is. Six-cylinder models were not sold in America, because the E21 versions of the M20 engine did not meet U.S. emissions regulations at the time. 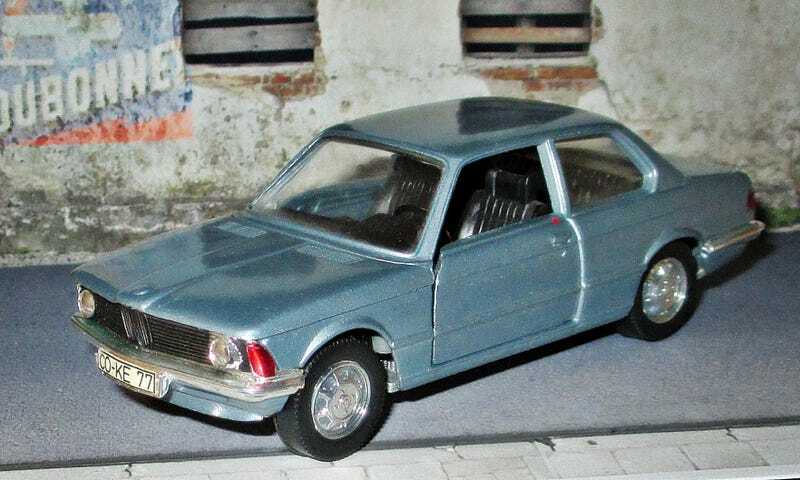 The model you see here is a 1/43 by Schuco from the time of the actual car. Back then, they were pretty much the best detailed models you could buy in that scale. Throw in plenty of opening features and factory colors, and you had some of the nicest models going. The base plate even gave you the technical specs of the car. Schuco also played the same game as BMW with the front lights - you could buy it as the 320 as well. Schuco simply put on a different quad light bumper unit. Easily done, as it was a separate plastic piece!